Offering exceptional sound at an affordable price, the Boston Acoustics CS 225C II 5-1/4-Inch Center Channel Speaker is an ideal addition to your home theater or music system. It has been engineered with high-grade components to ensure stunning audio reproduction across a wide range of frequencies. A Kortec soft-dome tweeter offers crisp, high frequencies, while graphite-injected woofers deliver more bass response from less amplifier power. With the CS 225C II Center Channel Speaker, you can enjoy your favorite media in richly detailed stereo sound. The speaker features a rectangular cabinet engineered for optimal acoustics. Pair it with other speakers from the Classic II series to create an expansive, cinematic soundstage. The CS 225C II is outfitted with Boston Acoustics' best audio technologies. The speaker incorporates Boston's Deep Channel Design: the polymer woofers are injected with graphite, allowing them to produce a more resonant bass sound without bottoming out. The tweeters feature a soft-dome design and have been treated with a stiffening agent to eliminate the high-frequency feedback that usually accompanies metal tweeters. Together, the tweeters and woofers are able to reproduce frequencies ranging from 80 Hz to 25 KHz, ensuring faithful playback of your sound and music. The CS 225C II also incorporates other smart audio-enhancing features. The speaker wires are equipped with five-way gold-plated binding posts, which ensure a secure and reliable wire connection. The gold plates also help preserve signal transfer, minimizing frequency losses and gaps. Additionally, the speaker features MagnaGuard magnetic shielding, which helps prevent video interference when it is placed close to your screen. The CS 225C II is designed for a quick and flexible installation. The speaker features a box design and can be mounted on a wall or simply placed on the floor. Keyhole wall brackets are built into the speaker to ease wall-mounting. In addition, the speaker's wires are extra pliable, allowing you to place it wherever you choose. The CS 225C II matches its exceptional audio quality with equally exceptional style. The speaker boasts two finish options; each complements a variety of furniture styles. It also features a traditional box cabinet, giving it a classic, balanced aesthetic. Boston's Classic II Series was designed to offer consumers an affordable, entry-level speaker solution without sacrificing sound quality. The series continues Boston's tradition of creating stylish, high-performance box speakers.Boston Acoustics creates all of its speakers following a smart approach to product design--sensible, useful, smart design features combined with contemporary styling. The Classic II series is no exception: each speaker in the series has been engineered using Boston's finest technologies to deliver outstanding performance. 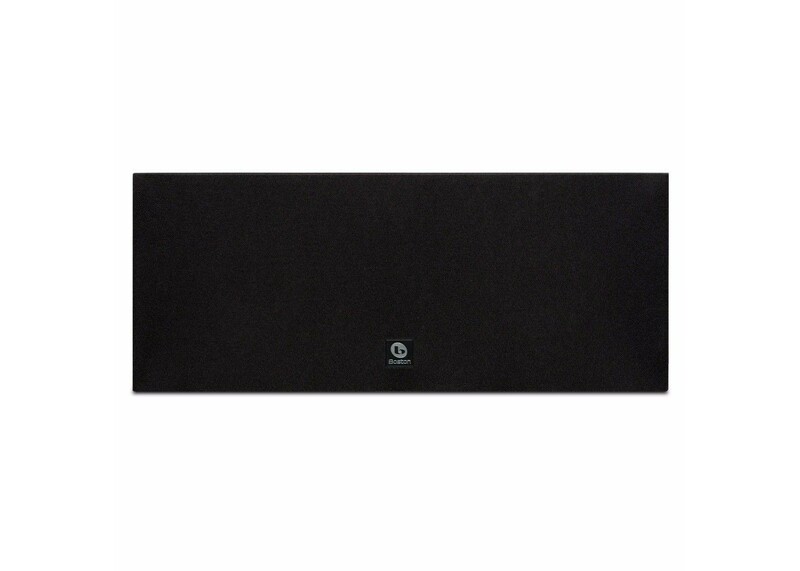 The CS 225C II 5-1/4-Inch Center Channel Speaker is backed by a five-year manufacturer's warranty, subject to the full warranty terms and conditions. CS225C II Center Channel Speaker, user's manual, and registration card.